Strategic or tactical utilization of optimization technologies across legacy tdm 2g or 3g radio access networks ensures a controlled and efficient transition to 3g/4g ip-ran. The solution also maximizes precious capex budgets while safe-guarding existing revenue streams and enables early deployment of mobile broadband services. 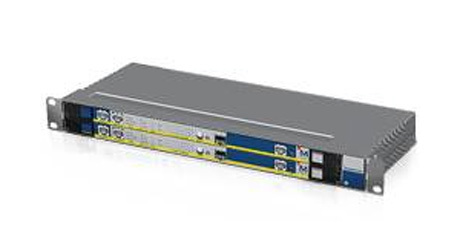 Today, the CX-UA1100 series provides the means to efficiently aggregate and optimize 2G/3G/4G traffic over existing SDH/PDH infra-structure, saving BIG CAPEX to Mobile Operators. The same CX-UA1100 equipment provides also a smooth and seamless migration of 2G or 3G traffic to the IP-RAN and Ethernet backhaul network. With support for IP/MPLS protocols, Carrier Ethernet interfaces as well as E1 and STM-1 connectivity, the CXUA1100 is an investment that will accelerate the rollout of Mobile Broadband services and provide benefits for the life of the deployment. Memotec's CX-UA1100 Series is a modular cellular backhaul platform delivering 2G/3G Radio Access Network (RAN) aggregation and traffic optimization. Deployed at the BSC/RNC hub locations and aggregation points across the RAN, the CX-UA1100 Series enables mobile operators to optimize and aggregate traffic, and free up capacity to allow for quick deployment of new services over their existing network, without costly upgrades, and at a lower cost.